Want to make a 3D printed model of your hometown, an island, a mountain, or another recognizable place? You’re in luck! 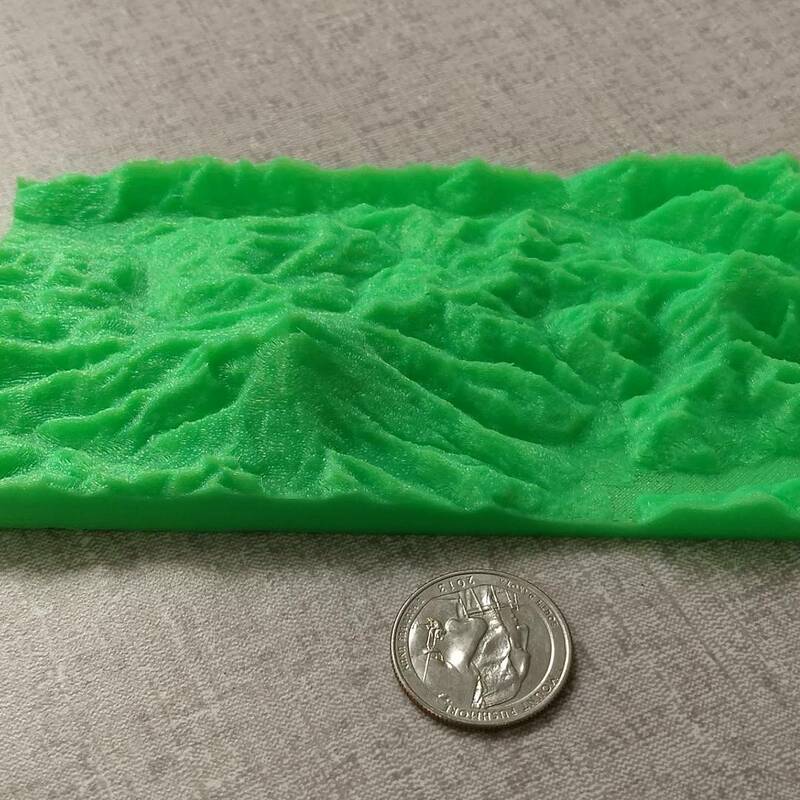 This guide will show you how to start with online topographic data and create a 3D printed model of the region of your choice. The best part is that the process is entirely free as long as you have a computer and access to a 3D printer! We chose Mount Rainier as our example because Mount Rainier is in our backyard and is visible from our University of Washington campus. This looks pretty interesting. The way I’ve been doing it is to take any source of topographic data – preferably a DEM. LIDAR where available. Use Global Mapper to resample it – making a gridded surface where the point spacing will be no more than about 5 points per millimetre at the scale of the printed model (removing data too small to see). Then save it from Global Mapper as an STL file, using the save options to close it into a flat bottomed solid with a specified minimum thickness. Model can be scaled in the Slicer. Global mapper isn’t free – but it’s only $500. Alternatively, With a few clicks, free software Accutrans3D can take a surface (say a DXF containing 3D faces) made in other softwares, and make it into a closed / flat bottomed solid with a specified minimum thickness. Accutrans3D can set the scale in the file-save options.